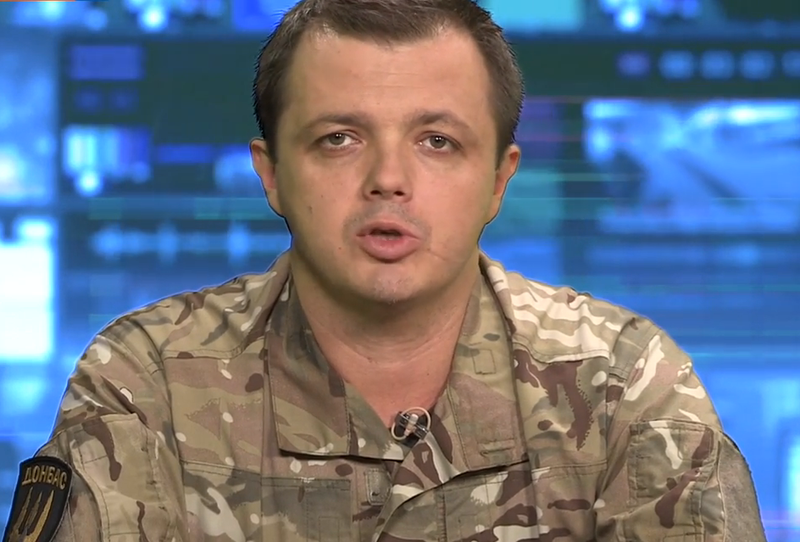 Semyon Semyonchenko: Ilovaisk – Before and After. Photo: espreso.tv interview , Sept. 13th. Oh brother, merry times have come … Those words have been in my profile’s avatar for almost six months. Now the times are not merry. The Ilovaisk cauldron divided our life into two parts: BEFORE and AFTER. BEFORE was a chain of victories, of expectation that the state was somewhere nearby, that it would pull itself up, as long as you just fight and believe. BEFORE, we believed that time was on our side. AFTER, came the understanding that this is not the case. AFTER is the grief of loss, the hardships of captivity for hundreds of soldiers, the betrayal and backstabbing from people who seemed close to you. AFTER is the inaction of the authorities, the impunity of generals giving criminal orders, and the indifference of the followers of those orders. It is hundreds of wounded who need our help, and hundreds of families who still need to be taken care of. And yet, AFTER is the understanding that if you stop, give up, give in under the weight of the problems, the hail of oft-unjust accusations and expectations of miracles – that will be a betrayal of those who did not survive. This was why we worked to restore the battalion, to create the UVO [Ukrainian Military Organization], to organize training centers for preparing territorial defense sergeants and soldiers. This is why we searched for funding, purchased arms, and paid for foreign trainers. This is why 17 fighters from the Donbas [Battalion] were nominated as candidates for the Verkhovna Rada [the Parliament of Ukraine]. Families and friends of captive soldiers deserve a monument erected in their honor, for everything they have lived through during this time, and the pressure they withstood from all sides… This truly is hell, a hell of hope and despair, a torture by waiting and uncertainty. My dears, we must all stick together. You cannot let the scoundrels who robbed you of your close ones, and us of our friends, to triumph again, to sow mistrust and anger of one another in our souls. Now we must stand together and join forces. We must believe in each other and do that which the state failed to do. Liberate our guys. P.S. : It has now been a week since we stopped waiting for the state to fulfill its obligations and obeying their orders of “stay away, do not interfere with, or you will only cause harm.” Now we are working hard towards the release of prisoners. Our representative has been introduced in the SBU [Security Service of Ukraine]. I cannot report about these matters on the Internet. For communication and latest news – use my PM [Personal Messaging] and phone (+380667265377). P.S.2: Today at 14:00, together with other battalion commanders, we are taking part in the meeting of the Verkhovna Rada [Parliamentary] Inquiry Commisison on the subject of Ilovaisk. The guilty will be punished. P.S.3: I want to apologize to the residents of Lviv for my failure to appear at the meeting today, and to the residents of Ternopil, Chernivtsi, Ivano-Frankivsk, for failing to be there last week. I know that you’ve been waiting, I know that it’s important. But right now, the lives and health of people depend on me, as does the peace of mind of their loved ones. We are expecting our brothers to come home. We believe, and we will do everything possible. This entry was posted in "Voices" in English, English, English News, Others, South&Eastern Ukraine, War in Donbas and tagged #Donbas Battalion, #RussiaDownedMH17, #RussiaViolatedCeasefire, #Semyon Semyonchenko, Ilovaisk, Ukraine. Bookmark the permalink.